Happy holidays from MPG! As the year comes to an end, many of our clients are creating exciting new marketing experiences for 2019. Most projects, however, come with a few white elephants—challenges and line items that no one really enjoys, but everyone has to make the best of. If that sounds like your next project, check out these tips for transforming some common live marketing white elephants into gifts your audience will love. Transformational Tip: Consider adding a live presentation or live demos. Touchscreens and graphics rarely capture or hold attention. But a live person delivering your message creates instant engagement, plus the impression that your space is a “must visit.” Why be static and dull when you can tell a complete story with a personal touch? Transformational Tip: Find a theme that allows you to simplify while engaging your audience’s imagination and emotions. If you’re marketing to an audience of subject matter experts, you don’t want to dumb it down. But a layer of storytelling can bring your message to life and make it more memorable. Transformational Tip: Spread it out over several mediums. Keeping experiences under five minutes—eight minutes max—keeps people from getting bored. Capture their attention first. Then post content experts nearby, hand out supplemental material, or direct your audience to a website. Transformational Tip: It’s common to have a lot of stakeholders giving input and approval throughout the creative process. To minimize delays and bottlenecks, create a clear schedule with plenty of time for everyone to weigh in. Then create one point of contact between your internal team and your agencies. Transformational Tip: Face-to-face marketing is a specialty. Expecting your sales team to sparkle at a trade show for 8 hours a day may be unrealistic. Professional brand ambassadors, on the other hand, are experts at drawing people in, communicating full messages, and maintaining friendly smiles, even when their feet are killing them. Do you have a project that could use transforming? Contact us to find out how we can make your message shine. At every trade show we attend, we take time out to walk the floor with our clients and check out what their rivals are up to. Of course it’s important to keep up with the competition, but that’s not the main reason we spend so much time studying the work of others. We make sure to see everything on the show floor, even—and especially—booths for companies that have nothing to do with our clients’ products or services. Because the best ideas are sometimes found in the most unlikely places. Inspiration is everywhere if you look with the right eyes. 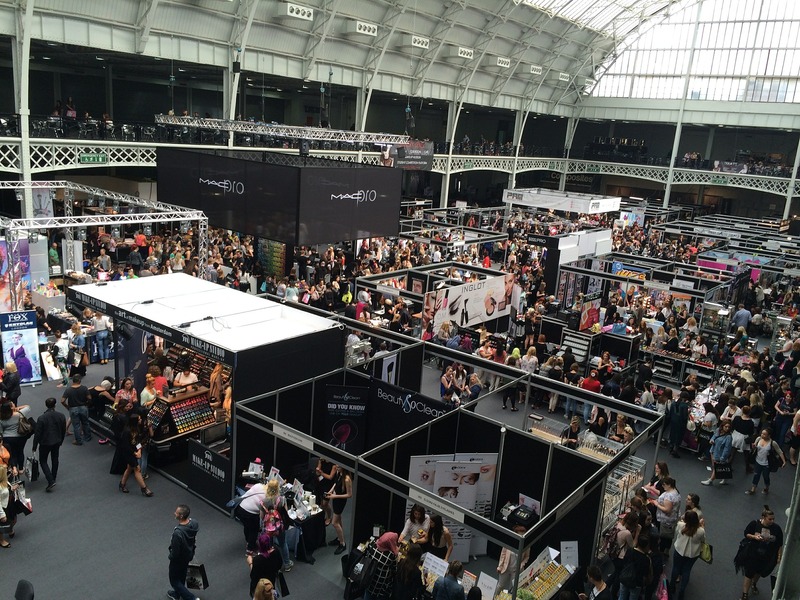 Here’s how to find ideas as you wander the aisles at your next trade show. Notice what catches your eye. A good booth captures your attention from a distance. Good branding at a good height is essential, but what else makes you want to approach and enter? Observe the use of color and lighting, the way various architectural pieces are configured. 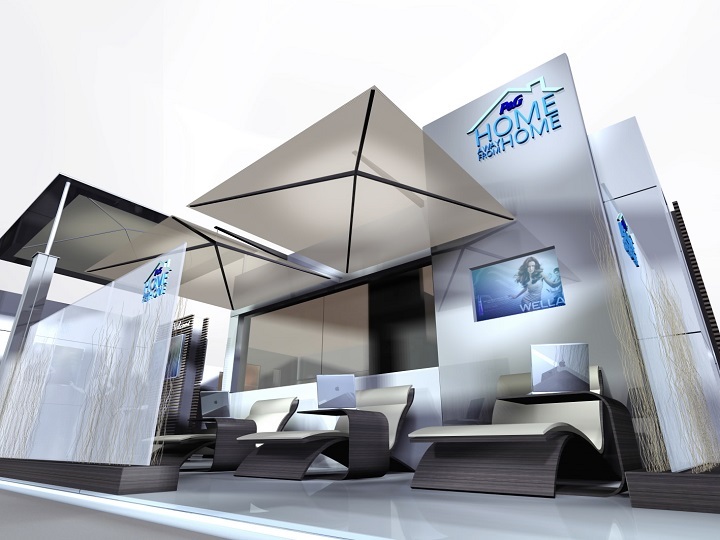 Are there any concepts you could incorporate into your next booth? Perhaps it’s a fun theme, or an appeal to the visitor’s emotions. Or maybe it’s a great flow that takes people on a journey through the benefits of a product. Exhibitors vary in their sensitivity to letting other exhibitors tour their booths, so you might not be able to view presentations and other storytelling pieces in-depth, but you can often see a lot from the aisle. You’re not looking to steal an idea outright, you’re learning techniques for telling your own stories in more compelling ways. Study how other exhibitors engage crowds and individuals. Is there a pre-set flow? Do they have brand ambassadors actively welcoming people into the space? Are there live presentations and demos? What elements of the experience are people interacting with, and which pieces are sitting untouched? Find the booths that are packed and see if you can discover their special sauce. Then build on those ideas to whip up your own winning recipe. If you suspect your team needs a more cohesive, snappy look, then check out what other exhibitors are doing to put their best folks forward. From matching polos and blazers to themed costumes, you’re sure to find lots of options to repurpose. If there’s a virtual reality game you love, or a presentation that’s especially well done, don’t be shy about asking after the agency/vendor that created it. Assuming the exhibitor isn’t a direct competitor, they will probably be happy to share, and you can explore bringing a bit of that magic to your next exhibiting opportunity. 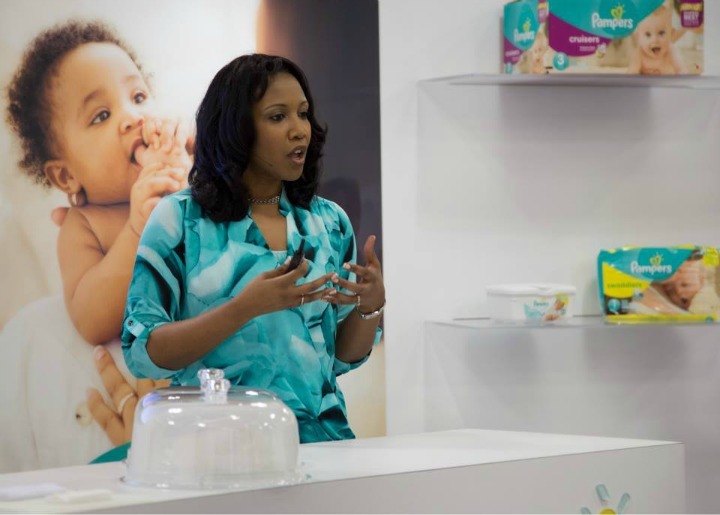 Want more inspiration for your next trade show exhibit? Then give our team at MPG a call. Booth Envy – Is It Time for a New Tradeshow Exhibit? MPG and IGE created this stunning new booth to replace an older property for P&G’s Home Away from Home at BlogHer. If you’ve been exhibiting at trade shows for any length of time, then you know the feeling: There, across the show floor, is a gorgeous new booth. Its elegant design, engaging presentations and drool-worthy technology make your exhibit look shabby and outdated in comparison. At least, that’s how it feels to you. With a few updates, your current trade show booth might have some life left in it. Or, your hunch that it’s time to build something new could be correct. Here are 5 ways to tell. 1. You’ve outgrown your current booth. Perhaps your business has expanded, giving you more products or brands to showcase. Or maybe attendance has boomed at the trade shows where you exhibit. If space makes it impossible for you to accomplish what you need and want to do, or if your booth is so crowded that it creates a less-than-stellar guest experience, then consider getting something new. While bigger is better, it’s still a good idea to have your designer create a modular strategy so you can scale down at smaller shows. 2. The wear and tear is impossible to hide. Every trade show exhibit will eventually show its age. And occasionally, as with one of our clients whose booth was damaged in Super Storm Sandy, stuff happens that’s beyond your control. If you’re no longer able to cover the scratches and scuffs, it’s time to put that old exhibit out to pasture. 3. Your current booth is too expensive to ship and assemble. Trade show displays made of older, heavier materials can be more costly to ship and put together. If you exhibit at a lot of shows, it might be worth making the up-front investment in something that will be lighter and easier to haul around. Sometimes, the money to design and build a new booth can be taken from a budget separate from the one that covers the expenses of individual shows. 4. You’re being outpaced by your competitors. Everyone needs to put their best foot forward at a trade show, and for some brands and companies, it’s vital to look like a leader. The size of your booth, the quality of the design, the general impression it makes on the show floor speak volumes to attendees before they ever set foot in your space. If you really do appear smaller and shabbier than the competition, it might be time to step up your game and leave them with booth envy. 5. You need more flexibility. Your trade show exhibit was created around a certain set of activities, but now you want to shake things up and try something new. If your current design makes this all but impossible, then look into something that gives you more options. A good designer can help craft a space that allows you to evolve year after year. Want to see what one of our clients did to combat booth envy? Check out what MPG and IGE did for Crest + Oral-B. The new Crest + Oral-B Experience debuted at the American Dental Association convention in New Orleans, and it’s getting rave reviews! MPG’s trade show work has given us a lot of insight into what works, what doesn’t, and what companies are doing to keep their trade show exhibits fresh. In our next few posts, we’ll be exploring some trade show best practices and offering ideas for successful trade show marketing. 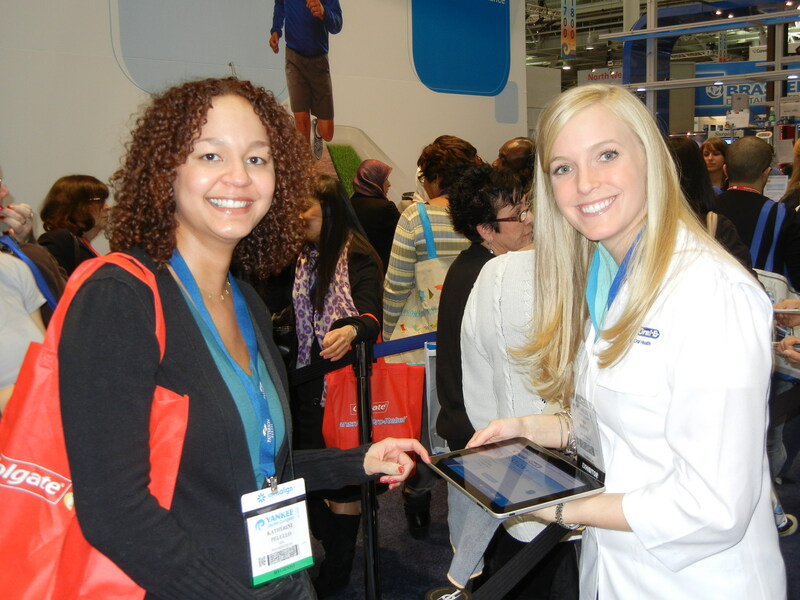 A friendly professional host can draw people to your trade show booth and help engage them. You’ve got a beautiful trade show exhibit with a great mix of activities that bring your brand promise to life. Now it’s up to you to bring in the leads. Here are some tips for getting people in your booth, then making the most of the relationships you build there. Get Your Team on Board: Hold a pre-show briefing to detail what will be happening in the booth. Preview all activities so team members know what to expect, and make sure all are on the same page with your key messages. We like to do one comprehensive meeting the day before a show opens, then a smaller “check-in” meeting each morning before the crowds arrive. Prepare ‘Em for the Spotlight: Your people are the face of your company, of course, but trade show days can be long and tiring. You never know when a VIP could catch someone letting down his or her guard. So lay some ground rules to help ensure your team is at its best. For example: No texting, checking email or playing on smart phones, no eating or chewing gum in the booth, and make sure all attendees are greeted with a smile. Designating an out-of-view spot to decompress and staggering lunches and breaks will help keep everyone fresh and on their toes. Use Professional Hosts and Crowd Gatherers: Marketing at trade shows is a special skill. You may have great company reps but drawing people into your booth might not be their strongest suit. Plus, when things get busy you want your best people closing sales. Professional hosts and crowd gatherers are engaging, approachable and expert at bringing a steady flow of attendees to your booth. A company like Moening Presentation Group can help you hire hosts whose look and demeanor best represent your brand. Pre-Qualify Attendees: Hundreds of people can go through a trade show booth every day, but not all are what you might consider prime prospects. Some are looking for swag, some are just browsing, and some are family members of attendees. You’ll want a plan to target those who are truly interested in your offerings and prepared to either buy or recommend. Your professional hosts and crowd gatherers offer a great low-tech way to find and send high-interest attendees to your reps. Or you can go high-tech with a digital pre-marketing campaign. Learn more about that here. Designate an Answer Expert – Arm everyone in your booth with basic talking points so they can handle most attendee questions, but have on-hand one or two super-knowledgeable brand ambassadors or thought leaders to take in-depth queries. Make sure booth personnel know where these folks are at all times. If your go-to person has stepped away, let the attendee know he or she will follow up as soon as possible. Turn Leads into Relationships –Today’s trade shows are more than a way to showcase your products and services, they’re openers to ongoing relationships. So make sure you’ve put a system in place to keep communicating. If your marketing strategy includes social media, then encouraging Facebook likes is a great way to start. Even better is a program that collects attendees’ contact information and allows them to opt in for further conversations with your team. If you’re curious about how this could work for you, contact us and we’ll fill you in on our suite of solutions.